VBH Holding AG, Europe’s largest trading house for window and door fittings, has appointed Ulrich Lindner as Executive Board member responsible for International Marketing and Sales. The 48-year old will hold the newly created position from 1 February 2012, when he will be responsible for the regions of Western, Southern and South-eastern Europe, as well as Asia and South America. 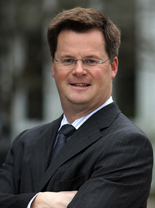 Ulrich Lindner has many years of international experience in commerce and the building trade. His studies in St. Gallen and Chicago were followed by work in Liechtenstein, Switzerland and the USA. From 2005, Ulrich Lindner was Chief Operation Officer (COO) at Berner SE in Künzelsau, responsible for the Sales, Marketing and Purchasing departments. “With Ulrich Lindner we are gaining an experienced sales and marketing expert with international expertise and many years of experience in trading, who will strengthen and drive forward our efforts to establish and expand our international markets”, says Rainer Hribar, VBH Holding AG Executive Board Chairman.